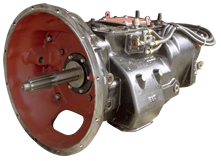 Rebuilt Rockwell Transmissions & Rockwell Truck Transmission Parts « Truck Drivetrain Co.
Professionally rebuilt Rockwell transmissions assembled with genuine, OEM replacement parts. The lowest prices, discount shipping rates, free core return shipping and worldwide delivery right to your door! The Rebuilt Rockwell Truck Transmission Exchange; we offer all the latest transmission upgrades when rebuilding your Rockwell transmission for you. We have thousands of satisfied customers all over the World for a reason. We do it right the first time! Along with our quality re-built truck transmissions, we also carry the full line of Transmission parts for your Rockwell model. Professional service after the sale, the lowest prices available, fast delivery, discount freight rates and free core return shipping. No need to pay full price from the local shop when we can supply the Rockwell model you need and warranty it for you too. 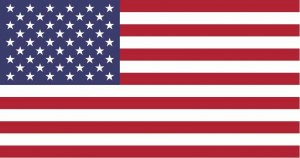 We cover you from coast to coast because we have partner locations and distribution centers all across the USA. Call 855 844-SALE for discount pricing on all your Rockwell transmission and parts needs. We sell the finest quality re-manufactured Rockwell models built with genuine parts for longer service life and reliability. We also offer our premier rebuilding services for your Rockwell Truck Transmission as well as low prices on all repair parts like; overhaul kits, rebuild kits, bearings and kits, cases, bell housings, shafts and gears of all kinds. We offer wholesale pricing on Rockwell re-manufactured 5, 6, 7, 8, 9, 10, 12 13, 15, 18 and 20 speed units and repair parts, overhaul kits, rebuild kits, sales, rebuilding service and repairs for all models. Thousands of Rockwell transmissions are available to ship today. Rebuilt exchange transmissions are our specialty and we can get one to you fast. Give us a call to get the process started or we can pick up your transmission and rebuild it for you. Thousands of Rockwell transmissions are available to ship today. Rebuilt exchange transmissions are our specialty and we can get one to you fast. Give us a call to get the process started or we can pick up your transmission and rebuild it for you. Our Rockwell rebuilt truck transmission exchange program offers the fastest delivery and best pricing in the industry. All units are covered with a rock solid one year unlimited mileage warranty and a name trusted throughout the industry and all over the world for the highest quality rebuilt truck transmissions, differentials, transfer cases and PTOs. We can fully rebuild any truck transmission you have or deliver a completely rebuilt unit right to your shop of choice. 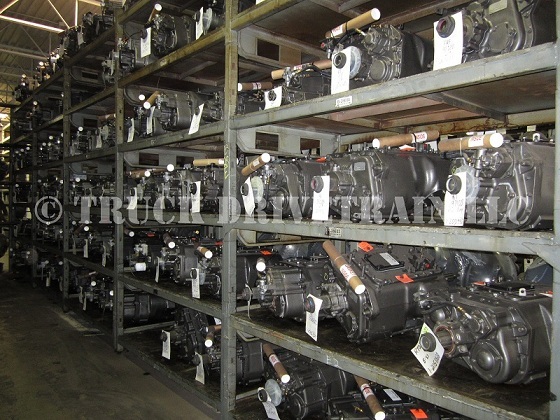 Truck Drivetrain Co. the leader in rebuilt truck transmissions from all manufacturers. The Rockwell transmission that you depend on to make your living is important to us too; our professional re-builders supply the finest product on the market today. Truck transmissions delivered worldwide. Our re-builders have many years’ experience rebuilding Rockwell transmissions and we use only OEM repair parts to insure every transmission we sell is built to last!